I have actually become quite fond of cookie recipes lately. Mainly because they're simple and don't take up much time at all. 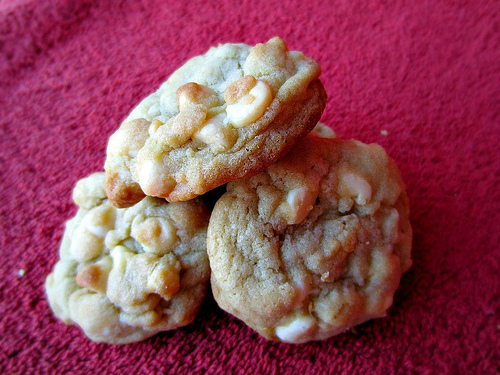 You can create wonderful treats in less than an hour. I haven't had much free time on my hands this week, so quick, easy and delicious was the name of the game. And we struck cookie gold with this one, folks! 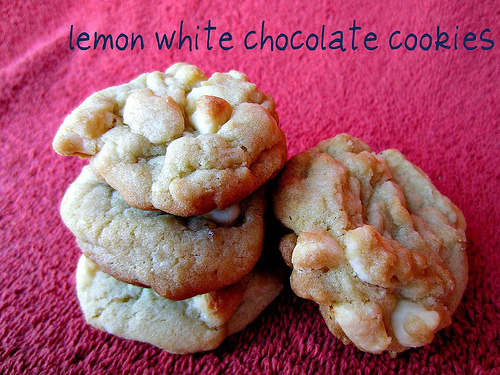 This sugar cookie has a subtle tartness from the lemon and is jam packed with white chocolate chips. The combination is really yummy. Plus, they are so low maintenance you can 3 dozen ready in about a half hour. Try it! You'll like it! I promise. In a large mixer beat together the butter and sugars until creamy. Add the egg and beat until combine. Add the lemon extra and combine. In a separate bowl, sift together the flour, baking soda and salt. Slowly add the sifted ingredients into the mixer and combine until everything is mixed well. 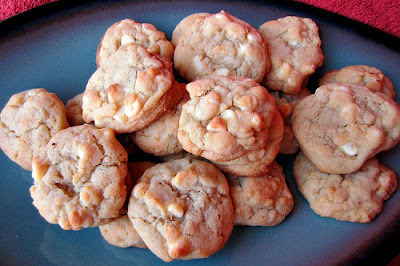 Turn the mixer on the slowest speed and add the white chocolate chips. Cover and refrigerate the dough for at least 2 hours and up to 24 hours before baking. Using a cookie scoop, scoop dough onto the baking sheets. Bake for 8-10 minutes. Transfer cookies from baking sheet to cooling rack until cooled. Has anyone made some awesome cookie﻿s lately? I'd to hear about it!